LETTER | The European Parliament voted in favour of a law on renewable energy that aims to reduce the contribution of palm oil in biofuels and bioliquids to zero. This poses a tremendous threat to Malaysia, which is the world's second largest producer of palm oil. Environmentalists claim that the palm oil industry is destroying rainforests which is home to indigenous communities and threatened species like the orangutans. The development of palm oil is also accused of contributing to climate change through forest-clearing fires as carbon dioxide is released to the atmosphere. However, oil palm estates expansion in Malaysia in the last 50 years was mainly converted from former rubber and cocoa cultivation. No rainforest land has been used since 1990. In 2017, global sales from palm oil exports totalled to US$33.3 billion. With EU being one of the main importers of palm oil, a ban on palm oil is regressive and will cause uncertainty in the global trade. The implementation of this ban will negatively affect the EU's trade in Malaysia and the Southeast Asian region. Job opportunities, strategic interest in Southeast Asian countries and bilateral trade will be affected. 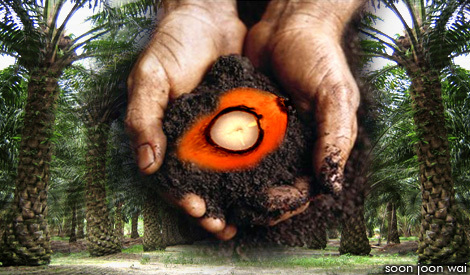 Presently, Europe's import of palm oil is worth up to US$7 billion; half of which is used as biodiesel. In Malaysia, the EU accounted for 12 percent of the palm oil exports in 2017 and is the biggest buyer after India. The Netherlands accounts for approximately half of Malaysia's exports to the EU. European actions are gravely hurting the global economy. It is in the best interest of the world to reduce trade restrictions in a globalised economy.